Over the years we've built up an impressive record of the projects we've worked on. 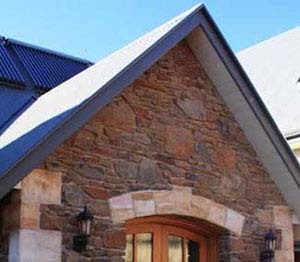 We've built complete houses in many parts of the Southern Highlands designed around locally quarried stone. Construction methods vary greatly from traditional solid stone houses to dry stone clads or cavity walls. We can even do stone veneer on a timber frame. 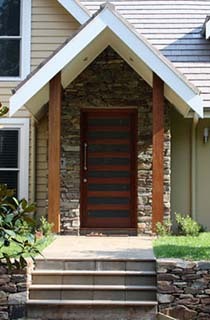 We have experience in a wide range of construction methods of stones houses. We are specialists in field stone construction methods and have built homes using granite, basalt and sandstone. We can quarry stone if it's available at the properties we are working at. From excavating the stone using sifting buckets through to splitting and cutting large sandstone blocks using our specialist equipment. We can handpick fieldstone from your paddocks on your property if available. Using our stonemasonary skills we can make lentils, hearths, treads and sills from single stone quarried from your paddock. We have recently been awarded the "Certificate of Excellence" in Stonemasonary by the Master Builders Association for work we completed at a property in Berrima NSW. Stone can be a great insulator against summer heat and winter cold. The thermal mass of stone enables it to maintain the ambient temperature. Using this quality and providing the proper insulating in the construction process we can utilise the stone's ability to retain warmth in the colder months whilst keeping the house cool in the warmer months. 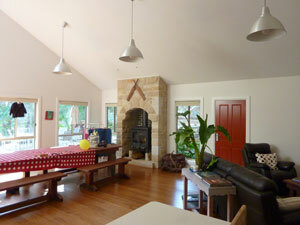 Internal stone work can also act as a great heat bank. Stone can be used on just a few walls for great effect or for the entire home. The use of LED downlighting enhances the stone and provides warmtextured mood lighting. 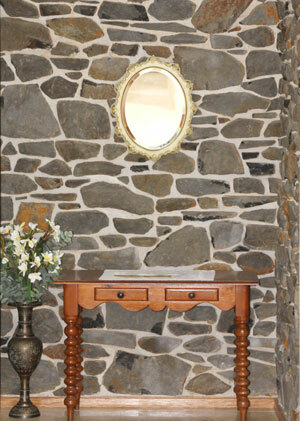 At J&J Stonewall Constructions we can design and build almost any home feature using stone. Our various galleries in this website show the many different applications that our stonework has been used in. Within our Homes gallery we've included the extensive range of work we've completed from building complete houses through to features, such as fireplaces and wall cladding, that have been incorporated into internal home designs. Examples of this work can be viewed in our Homes gallery. If you are considering a project that fits into this aspect of our design and construction work and you would like to see more examples of our work beyond that shown in the gallery please contact us and we'll arrange a suitable time to discuss your specific requirements. View other aspects of our design and construction work in our Garden Features and Drystone Walls photo galleries. We are proud of the work we've done and of our reputation in the Southern Highlands where we've completed many and varied projects. Please take a moment to read just a few of the comments we've received from our satisfied clients.